Each year, the National Association of Active Investment Managers (NAAIM) hosts a competition to search out the best actively managed investment strategies. NAAIM’s Shark Tank Investment Strategy Competition was launched in 2013 to provide an opportunity for managers to showcase their active investment strategies, models and signals and to provide membership with opportunities to develop relationships with other active managers. 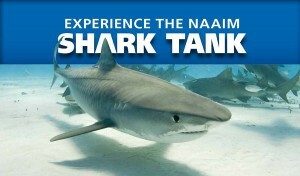 If you are looking for distribution opportunities for your investment strategy NAAIM’s Shark Tank Competition can help! The biggest NAAIM Shark Tank news is the 2019 winner will receive a distribution slot on Global View Capital Management’s TAMP offering, which focuses on active investment managers. Pending due diligence approval by Global View, the winning strategy will be promoted to Global View’s advisor base and the manager will receive an invitation to the firm’s annual conference. Global View currently hosts three recent Shark Tank managers and has raised more than $100 million in AUM for previous Shark Tank winners over the past two years. Who May Participate: The 2019 NAAIM Shark Tank strategy competition is open to all trading and investing practitioners who have developed strategies with a live, verifiable, real money track record. Membership in NAAIM is not required. How to Apply: Managers wishing to participate in the upcoming event are requested to submit an application to the committee by 9pm ET on Friday, January 18, 2019. Finalists will be announced on or before March 1, 2019. 2019 Shark Tank Finals: The finalists will compete in front of the live audience at NAAIM’s Uncommon Knowledge Conference on May 1, 2019 at the Doubletree Resort by Hilton Paradise Valley in Scottsdale Arizona.